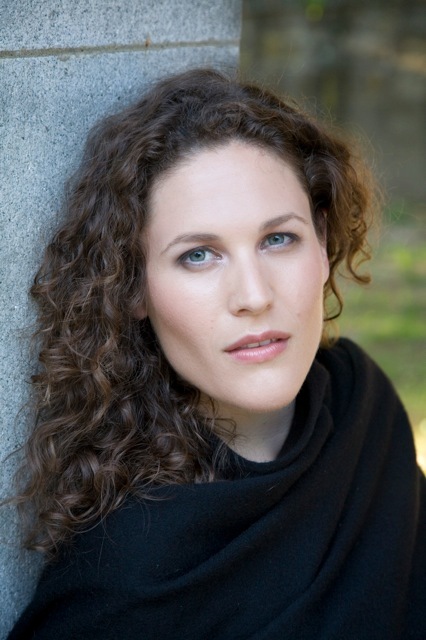 Mezzo-soprano Allison Messier shares her unique voice and spirit with the world by singing in a variety of genres including artsong, operas, oratorio and sacred music. It was clear to Allison from her earliest days watching the opera singers on Sesame Street and the Muppet Show that she had to be a singer. She made her professional debut at age 12 as the Third Spirit in Mozart’s The Magic Flute. Since that early start, she has travelled extensively around the world studying, performing and perfecting her art. As an oratorio soloist, Allison has performed in numerous major works including the Duruflé Requiem with the Litchfield County Choral Union; Zelenka’s Te Deum with Con Brio Choral Society; the Rachmaninov Vespers with the Boston Russian Choir; the Bach Christmas Oratorio with the Greater New Bedford Choral Society; Dvorak’s Mass in D and Haydn’s Mass in Time of War with the Bermuda Chamber Choir; John Rutter’s Feel the Spirit, Bach’s Magnificat and Händel’s Messiah with the Clearlakes Chorale, as well as Vivaldi’s Dixit Dominus and Mozart’s Requiem with Portsmouth Pro Musica. Allison’s opera credits include Dido in Dido and Aeneas and La Zia Pricipessa in Suor Angelica with Piccola Opera NH; Marthe in Marie Magdaleine and The Abbess in Suor Angelica with Lakes Region Opera; Maman in L’Enfant et les Sortileges with Metro West Opera; and appearances with Opera Providence in the title roles of Carmen and The Romany Maid. She has also performed the role of Hansel in Hansel and Gretel for thousands of elementary school students with Opera New Hampshire’s outreach program. Allison was a founding member of the early music groups Cappella Clausura, an all-female choir who performs music composed by women, and Vox Consort, a small ensemble dedicated to performing the works of J. S. Bach with only one voice on each part. Bringing art song home. For almost a decade, Allison has been presenting recitals and house concerts in private homes throughout the Northeast. She especially loves bringing art song back to the space in which it was born; the homes of music fans and supporters. Though her repertoire spans centuries and a wide variety of styles, she has a particular fondness for French art song, especially the late work of Gabriel Fauré. In addition to offering the traditional art song repertoire, she has expanded the song recital into new territory by combining the popular songs of Joni Mitchell, Cat Stevens, Björk, and other contemporary artists with the Elizabethan and baroque works of John Dowland and Henry Purcell. She released her debut album, ALLISON: Volume One, in early 2016 and a second album, ALLISON: Volume Two, in early 2017. These albums are available on iTunes, Amazon, Google Play, and Spotify. Allison received her Bachelor of Music degree from New England Conservatory in 2007. While at NEC, she appeared as a soloist on the Jordan Hall stage a number of times in works by Scarlatti, Brahms, and Britten. She also sang the roles of the Third Lady in the Magic Flute and the Announcer in Gallantry with the undergraduate opera. Allison continued her training in Florence, Italy at the Bel Canto Institute and in British Columbia at the Vancouver International Song Institute. Allison makes her home in Little Compton, Rhode Island, where she maintains a private teaching studio, Sakonnet Music, with her partner, conductor Jonathan Babbitt.